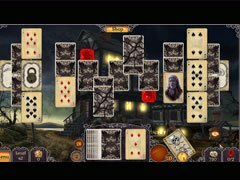 Jewel Match gets spooky in this new Solitaire adventure! It was a dark and stormy night... for Solitaire! 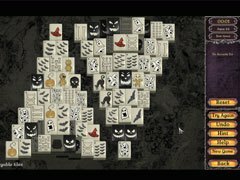 Jewel Match gets spooky in this new Solitaire adventure! Discover and rebuild eerie derelict castles, but beware of vampires roaming the land. Over 200 levels in all, plus 50 bonus mahjong levels to unlock! Dozens of unique game play variations mix up the classic Solitaire such as locked and frozen cards, obstacles to remove, and power-ups like wild cards, jokers, and shuffles. Search the dark, cobwebby corners of every last level for gems and coins to purchase new castle upgrades and power-ups and go for the elusive “Perfect” in each level. Grab a deck of cards and get your spine chilled with Jewel Match Twilight Solitaire! 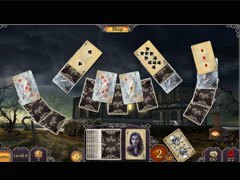 - 200 spooky Solitaire levels! - 5 eerie castles to build! - 50 replayable bonus mahjong levels! - Tons of game play variations and power-ups.